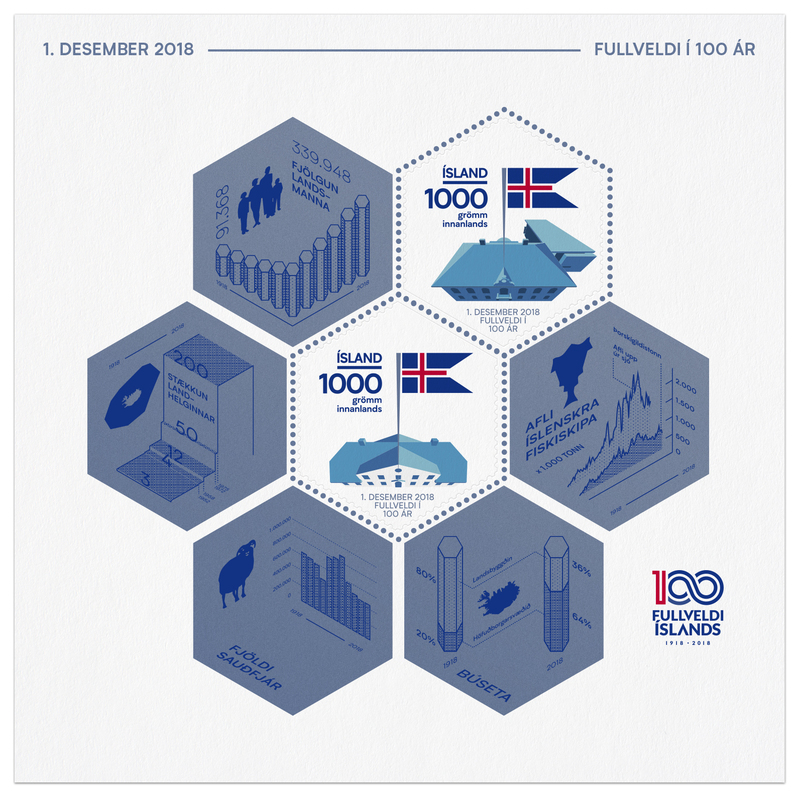 In 2018, a century has passed since Iceland became an independent state within the community of nations. 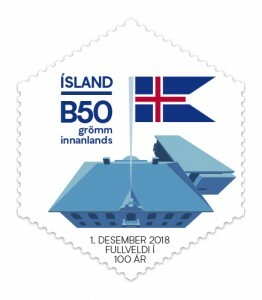 The treaty on Iceland’s sovereignty was concluded on July 18, 1918, and this is considered one of the most significant events in the nation’s history. The treaty stipulated that Denmark would manage Iceland’s international relations : Foreign Affairs and the protection of territorial waters. 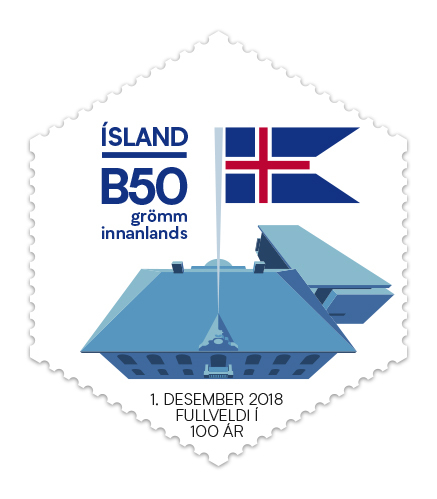 With sovereignty, the Icelandic state acquired full decisional power over the judiciary and the Supreme Court of Iceland was established in 1919. 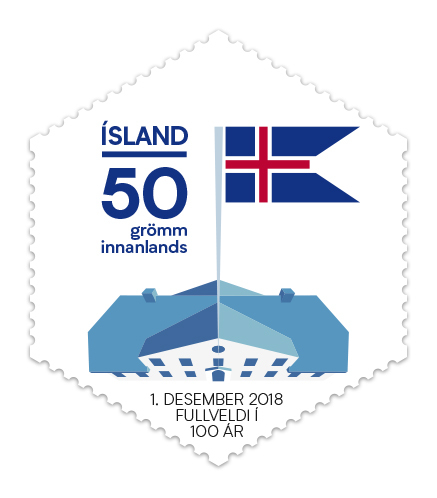 On June 16th, 1944, the Alþing (Icelandic Parliament) voted to revoke the 1918 Act of Union and the following day, the Republic of Iceland was founded during the Parliament’s celebratory session at Þingvellir. A new constitution came into effect and Sveinn Björnsson was elected first President of Iceland. In the wake of the 1918 sovereignty, the country experienced a period of major development during which relations with foreign countries played a decisive role – young people increasingly sought education abroad and brought new ideas home. Profound changes have occurred within Icelandic society over the past 100 years. The population has increased from around 91,000 to almost 340,000 inhabitants. The territorial waters have been expanded in four stages from 3 to 200 nautical miles. The composition of society has also changed significantly : in 1918, almost 80% of the population lived in rural areas, whereas at the beginning of 2018 about 64% of the population lives in the capital area and only 36% in the regions. 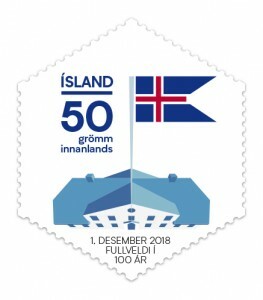 Örn Smári Gíslason is the designer of both stamps and souvenir sheet. 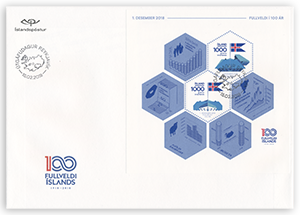 The souvenir sheet is printed in offset Litho and 3 pantone colours, whereas the stamps are offset Litho and 2 pantone colours. 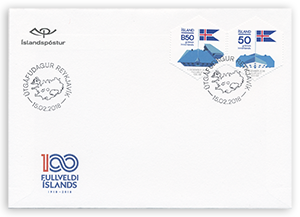 They were printed by Cartor Security Printing and will be issued on February 15th 2018, along with other philatelic products such as First Day Covers and a special gift folder containing the souvenir sheet 658A. And be sure to pay us a visit on Facebook!